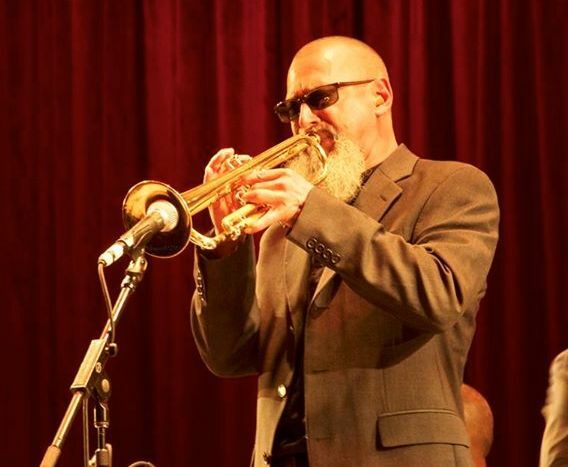 Grammy winning trumpeter, composer, and educator Jim Seeley can be heard on countless recordings and tours as a featured soloist with Ray Charles, Louis Bellson, The Duke Ellington Orchestra, Maynard Ferguson, Chucho Valdez, Chico O’Farrill, Greg Allman, and many others. As an original member of The Afro Latin Jazz Orchestra, under the direction of Arturo O’Farrill, he has toured and recorded extensively and continues to perform regularly with the group. As an educator, Jim has conducted seminars and master classes all over the world including Thailand, Japan, Taiwan, China, Australia, Spain, Venezuela, Colombia, Germany, Austria, Hawaii, Tahiti, Cuba, and extensively throughout the United States. A long time inhabitant of the New York music scene, Jim performs regularly with a number of groups, including his own, and freelances frequently with many various artist in a variety of styles including, Jazz, Latin Jazz, Blues, Brazilian, and experimental music, and remains quite active as a teacher with The Afro Latin Jazz Alliance and forJazz @ Lincoln Center’s Middle School Jazz Academy.